A friend of mine joked over the weekend, “I always resolve to be a more patient mom on January 1st. And I usually give up by mid-January. And then I just feel guilty. So this year I didn’t make a resolution to be more patient because I don’t need more mom guilt in my life.” She was kidding, but she wasn’t. I know mom guilt. Maybe you do too. It’s a frequent visitor in my life. At the end of a long (snow) day I am all too aware of my humanity and the ways in which motherhood reminds me of my weaknesses. But here’s the thing. I used to get STUCK in guilt. I used to get stuck in mom-guilt because I didn’t see the depths of God’s grace. I still don’t see it entirely. I don’t think we ever will, on this side of heaven, because it’s entirely too deep and wide for us to understand. 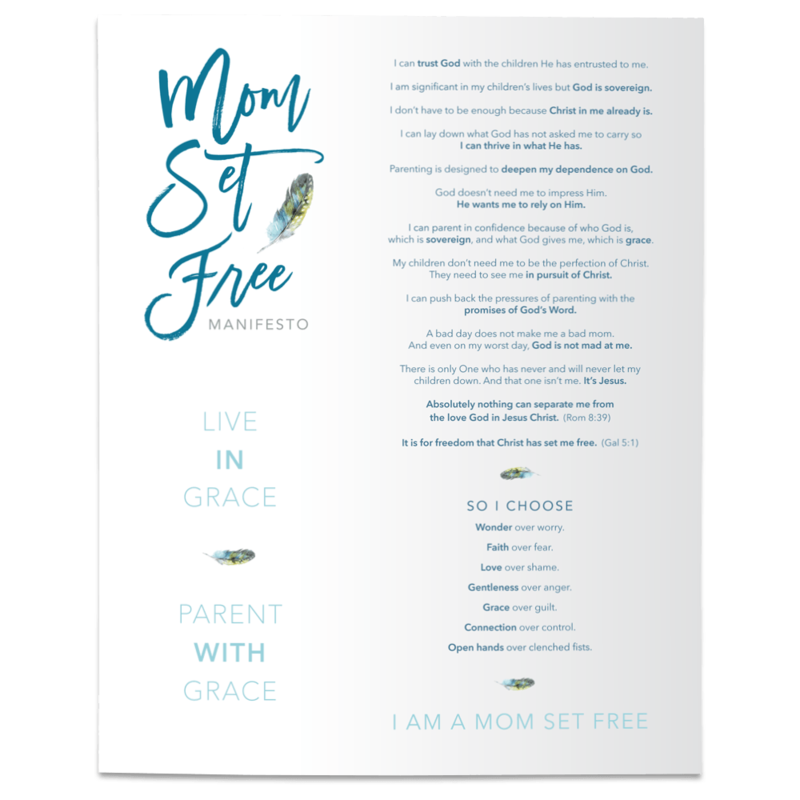 But it’s fair to say I have a deeper understanding of the freedom grace gives, and that freedom has radically changed my life, and my parenting. Friend, your mom guilt might be big but God’s grace is bigger. So as we approach mid-January and you are maybe feeling like a failure in areas that you resolved to “try harder to be a better mom” I pray you can open your heart to the grace God wants to pour in. You give Him your guilt. He’ll give you His grace. Let that grace melt your heart. Literally, let it melt your heart. This isn’t sentimental fluff, my friend. Ask God to melt your heart with His grace. (That’s a prayer He delights to answer!) And then watch that grace mold your life. Because His grace doesn’t just relieve our guilt. It’s also the only thing strong enough to transform our hearts and create real change in our parenting. 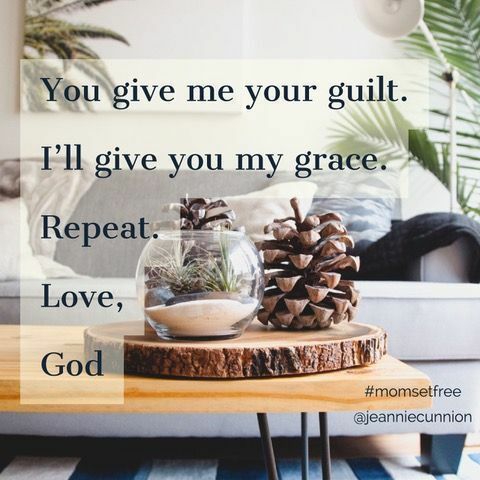 If we are living in guilt and shame over sins from our past, and if we are plagued by our inability to be close-to-perfect moms in the present, those guilt-ridden and shameful messages will overflow into our parenting. And we will fall deeper into despair over our inability to love our kids with the love of Christ. But! If we are living in the freedom of God’s grace, we will be empowered to raise children who also live in freedom. For the love that God pours into our hearts enables us to love and lead with His kind of love.